To make the most of your experience (both for you and the kids) here are our top travel tips. Routine isn’t location-based, it’s a time thing, so from the day you leave, whenever possible, stick to a regular feeding and sleeping schedule. Also, have a routine for how you set up when you get to each destination and include the kids in it. Here, not only can you gather info about local tourist activities, they’re often run by locals who can tell you things like where’s best to swim, awesome playgrounds nearby, scenic walking trails and much more. On days when you’re not on the road, make it a habit to wash clothes every morning before breakfast. It’ll be clean and hung somewhere to dry before you head off on the day’s activities and dry by the afternoon. Committing to this means you can pack less clothes to begin with, and it also helps establish the aforementioned routine. You could get away with washing every second day but doing it every day means you won’t end up with too much of a backlog if the weather isn’t great for line drying one day. Keep in mind that if you are doing this in a motorhome or caravan you’ll want to make sure you have enough water onboard to accommodate. Doing it while you are filling up with water is also a great option. Older kids won’t be so much of an issue, but the littlies sometimes need constant supervision. In locations that are isolated or different from their normal surroundings you want to protect them from wandering out of sight. Items like an inexpensive high chair or easily transportable playpen (anything that creates a bit of a boundary/restricts movement) are great ways of limiting where they can go. Try to book a pitch that’s away from main thoroughfares or roads. Or if you are self-contained camping check out the campermate comments section for any safety concerns others have experienced before you head there. 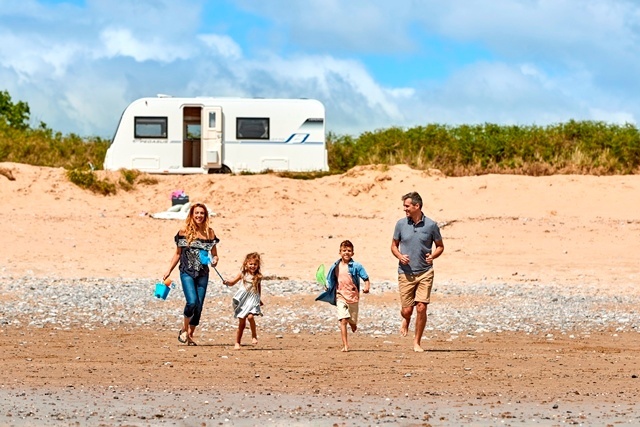 Teach the kids about safety around motorhomes (everyone’s, not just your own), they are BIG vehicles after all and could be moving in and out of the campsite or self-contained camping spot at any time. Plan your meals and have the ingredients on board because come dinnertime, it’s a lot harder to just wing it when you’re not at home, sometimes impossible if you’re somewhere very remote. Most good motorhomes and caravans have a decent sized fridge with freezer compartment. Meaning they’ll keep anything frozen that you’ve packed from home. Have lots of snacks for those moments when a hangry meltdown is imminent and there’s no time to prep a whole meal and nowhere close and convenient to buy it. Take baking premixes that can be created in the microwave; it’s easy, fast and always nice to have a treat on hand. Microwaves can only be used when plugged into power so just keep the types of food you take in mind for self-contained camping spots you are heading to. Take UHT or powdered milk in case you run out of fresh. Storage containers, clingfilm, ziplock bags, baking paper and tin foil are great in the kitchen to keep clean up time down and leftovers stored nicely. Why not take a fishing rod and get the kids involved in catching some fresh fish for dinner? Pack light layers, that way you’re sorted if it’s hot and when it gets a bit chillier. Fleece jumpers are great because they’re warm and lightweight, easy to clean and dry quickly. Make sure everyone has a waterproof jacket and a spare pair of shoes in case one gets wet. And don’t be precious about clothes getting dirty while you are camping because they absolutely will. Try and have a place for everything, it makes the vehicle feel crowded if you have stuff everywhere. Get the kids involved in the routine so they know where everything goes and can put things back easily. Kids are less tolerant of long journeys than adults so before you head off, make a note of how far it is to your destination and any good places to stop along the way. Also, try to plan around day sleeps if your kids need them. If they can have these while you’re commuting, all the better. If the kids are still young enough they have accidents at night, there may not be time/space/good weather to dry out the mattress so line them with a waterproof layer. And consider a nappy just at night time if they are still young enough not to feel embarrassed by this. Utilise the TV/activity rooms at camping parks. Or pack some good DVD’s for the TV in the motorhome or caravan. Some can even access sky and a movie before bed is a good wind down. 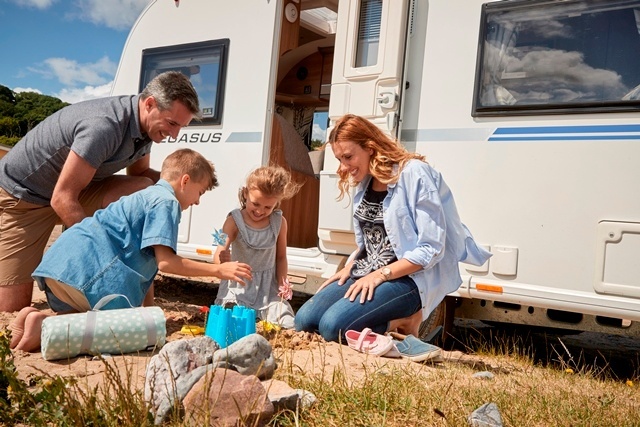 Have special travel toys, books and games which live in the motorhome or caravan. This way, every time you travel they are new again and not old and boring. If possible and the campsite has a playground, try to get a site near it so you can keep an eye on them. Or when self-contained freedom camping the beach, forest or lake could be their playground so try and position yourself to watch them. Make a travel diary scrapbook. Pack scissors and glue and some fun embellishments like stickers and each night, write about your day and stick in the special mementos from it. This is a great activity to get the kids involved in too. With a motorhome or caravan purchased from TrailLite you’ll get a handy little travel diary to keep track of your adventures. Take the bikes (and helmets); they are easily fixed to the back on a motorhome and can provide hours of entertainment. Be prepared for rainy days with indoor playthings. Colouring in, board games or reading are ideal activities as they don’t take up much space or cause mess. Another item to consider is a large awning. When it’s raining, this makes a nice dry outdoor space that’s close to ‘home’. 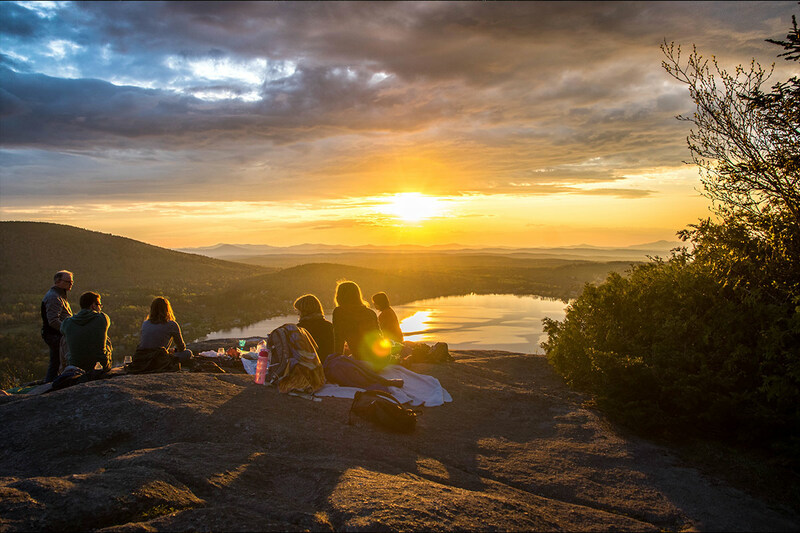 Even though it’s great to encourage the kids to get out in nature, they’ll still need some downtime. Games and videos on the tablet or smartphone are a great way to facilitate this while you’re away from home, and if the weather isn’t great the kids will be wanting to reach for these. Most motorhomes have USB charging points meaning it’s easy to do this even while self-contained freedom camping. Often people take a TrailLite away or a supplier jumps in and collaborates with us to bring our customers the very best knowledge and information.